The European long-distance path E1 leads from North Cape to southern Italy. The European cycling route R1 leads from Boulogne-Sur-Mer to London and on to St Petersburg. The two first European long-distance paths meet just once: in the Teutoburg Forest in Detmold. The E1|R1 crossing is the trigger and at the same time the name-giver for an international photo competition: amateur photographers as well as professionals are called to participate in separate categories, to submit the most beautiful and spectacular photos of the environments surrounding the two paths. Prizes with a value of around 50,000 euros are up for grabs, and will be awarded by independent judges for the best works. The winners will be announced on the occasion of the 118th German Hiking Day 2018 in Detmold. The starting signal has been given: hikers, amateur photographers and professionals are called to capture the most beautiful subjects, hiking- and cycling-adventures along the E1 and the R1 with their camera. Important: all subjects must be captured in the immediate vicinity of the two paths. The period for submissions for the photo competition begins on 1st December 2017 and closes on 31st March 2018. In order to give as many people as possible a chance to take part, there is an Amateur Award for hobby photographers and – separate from this – an award for professional photographers. Both competitions are subdivided into four categories: Culture and Landscape, Man and Nature, Sky and Earth as well as Animal and Nature. The initiators emphasise that this is the first international photo competition of its kind. After all, hikers and cyclists from 18 European countries are invited to take part. 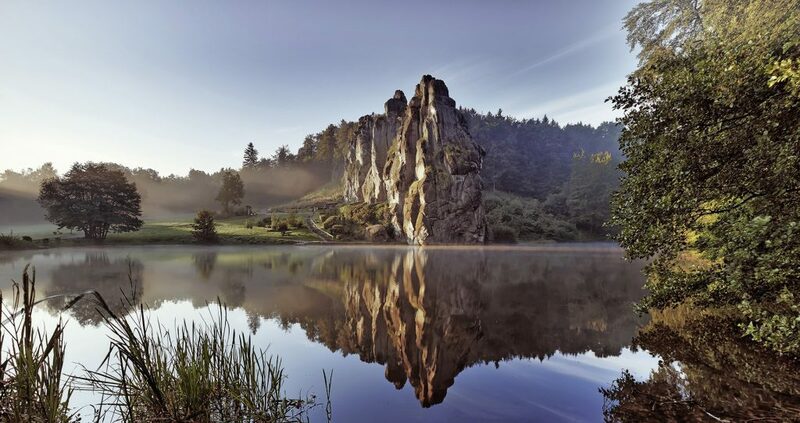 The Competence Center for Hiking WALK, in Detmold, brought the E1|R1 photo award to life, supported by the German Hiking Association (DWV) and the European Rambler Association (ERA). “With this international photo competition, we are directing our focus on to our hiking region, on to the land of the Hermann, on to hiking and cycling throughout Europe, and bringing the two first European long-distance paths more prominently into the public consciousness. Simultaneously, Europe will discover that the Competence Centre for Hiking, WALK, and the tourism region Lippe exist”, as County Commissioner Dr Axel Lehmann happily explains, as a patron of the E1|R1 photo award.